Angry Koala Gear: SPIDER-MAN RETURNS IN AN ALL-NEW SEASON OF "MARVEL’S ULTIMATE SPIDER-MAN: WEB WARRIORS"
SPIDER-MAN RETURNS IN AN ALL-NEW SEASON OF "MARVEL’S ULTIMATE SPIDER-MAN: WEB WARRIORS"
"MARVEL’S ULTIMATE SPIDER-MAN: WEB WARRIORS"
Marvel's most popular super hero, Spider-Man, swings into a new season in "Marvel's Ultimate Spider-Man: Web Warriors," premiering SUNDAY, AUGUST 31(9:00 a.m.) on the Marvel Universe programming block on Disney XD. Accompanied by Nova, Iron Fist, Power Man and White Tiger, Spider-Man and the team take on dangerous S.H.I.E.L.D. missions and encounter some of their most thrilling adventures yet. 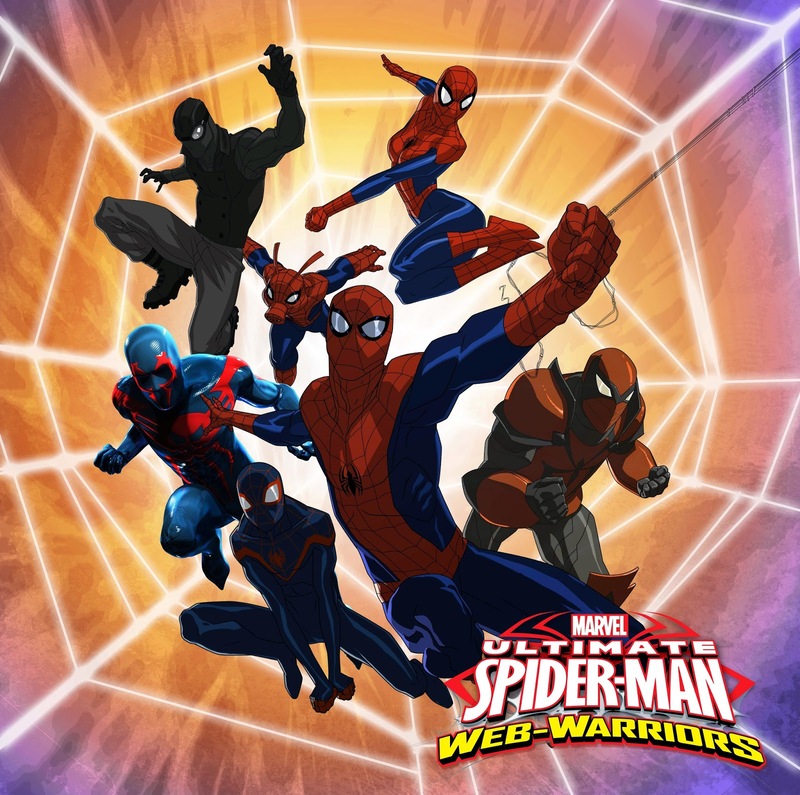 The new season begins with Spider-Man accepting an invitation to become an Avenger. Alongside Iron Man, Captain America, Thor, Hulk, Hawkeye, Black Widow and Falcon, everyone’s favorite web-head gets one step closer to becoming the UltimateSpider-Man!